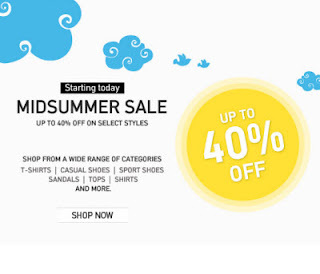 Myntra is back with its another sale where they are offering upto 40% off on huge range of products. One can choose from a varierty of products. This is not all you will get Rs 500 off if your purchase value is more than Rs 1250. Just follow the steps below to avail this offer. How to get Rs 500 off on 1250 + Upto 40% off? Sign up by filling Email Id, Password & mobile number. Note: You can avail Free Shipping and Cash on Delivery. Click here to go to Myntra.com and start shopping.